When choosing a promotional product to give away at a trade show, it needs to meet some basic criteria. Is it cost effective? How unique is it? Is it highly useful? Does the item have a good place to put the logo? Is it an interesting promotional product that will engage my prospects? 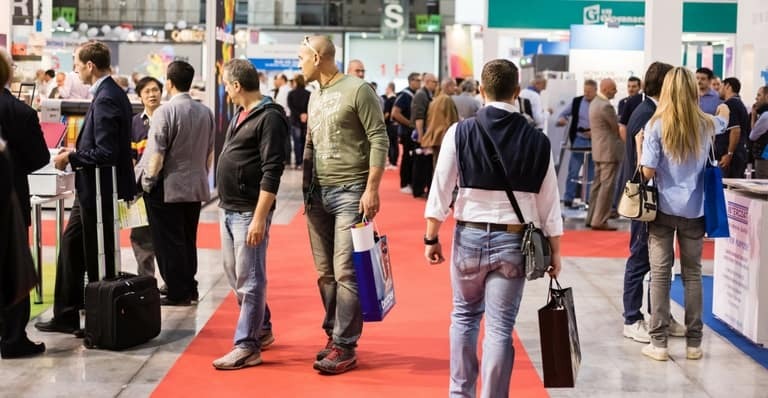 There are a wide variety of options, but your industry and goal for participation in the trade show will help narrow your choices. Headphones. Choosing a branded headphone as your giveaway is a cool choice. They are ideal for the traveling professional or for anyone to use as a backup pair. USB Car Charger. Car chargers make a great promotional item since it is something everyone can use. They are pricier than other choices, so you will want to control their distribution. Breath Mints. This item is small and cost effective. This is an excellent item to give away at a trade show. However, remember that this product has a limited shelf life. Consider pairing breath mints with another item that has longer staying power with prospects. Hand Sanitizer. This can be a welcome gift at a networking event. People will appreciate the usefulness of this promotional giveaway. Reusable Water Bottle. There are many varieties of branded water bottles, be sure to choose a functional one made with quality materials that suits the feel of your brand. Touch Screen Cleaning Cloth. Make sure the color and style you choose looks good with your company logo. It is super useful and has a very long shelf life. Luggage Tags. Useful and relatively inexpensive, branded luggage tags make an ideal promotional product. Lip Balm. Choose a basic scent and this can be a fantastic option that makes a good first impression for your company. Emergency Package. Small first aid pouches filled with useful items are another useful item that generates positive associations with your company when branded correctly. Reusable Tote Bag. There is a lot of available marketing space on a tote bag, but remember simple is best. Brand the bag with your color scheme and logo and keep the rest of the bag simple so it gets used frequently. Consider using a variety of promotional products to take advantage of the unique features of each one. You can decide who gets which product by their level of engagement and the shelf life of the product. This also helps ensure that you will not run out giveaways or expend your budget unnecessarily. Contact us to discuss ideas to make your next trade show a success!